To make the mustard-mayonnaise dressing, place the mayonnaise, mustard powder, sugar, vinegar, lemon juice, salt and pepper in a large bowl and whisk to combine. Add the cabbage, carrot, celery, green and white onion and toss to combine. 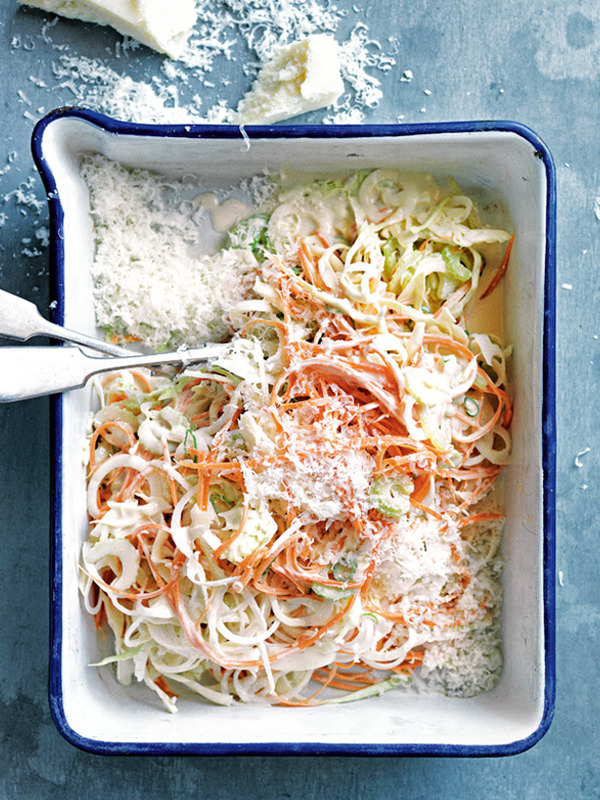 Transfer the slaw to a serving dish and top with parmesan to serve. Serves 4. + To shred carrot use a julienne peeler. This looks like a conventional vegetable peeler, but has little ‘teeth’ that help create strips of vegetables.